Employees today have higher standards for digital technology in the workplace. No one can deny the remarkable impact that mobile technology has had on consumer behavior. Texting has displaced phone calls and email as the preferred communication channel among millennials, and social media has emerged as their top choice for obtaining information and content. Our employees are also consumers of the latest cool tools and applications. They use mobile devices and digital apps on a daily basis to be more productive and improve the quality of their personal lives—and they expect to be able to use the same types of tools in the workplace to connect with coworkers, share resources, and achieve a better work-life balance. What impact does a company’s ability to meet their employees’ tech expectations have on job satisfaction? Quite a bit, it seems. According to a recent survey conducted by Dell and Intel, 42% of millennial employees say that they would quit a job with substandard technology. Further, a majority of workers (63% of millennials and 55% of older workers) say they would prefer high-tech perks in the workplace like augmented virtual reality (AR VR) and Internet of Things (IoT) over low-tech perks like ping-pong and free food. The Future Workforce Study also pointed out that it’s not just the millennials who are looking forward to the introduction of these cutting-edge technologies into their working lives. Just under two-thirds (62%) of global workers believe that artificial intelligence will make their jobs easier, while half (50%) say AI will lead to more productivity in the workplace. Thirty percent (30%) cited the ability to automate complex or repetitive tasks as the major immediate advantage. Certainly the contact center is a more restrictive environment than other business functions—and with good reason. Large centers with hundreds or thousands of employees could pose considerable risks in a BYOD (bring your own device) scenario. Consider, for instance, the challenge of keeping that many individual devices secure. How would you ensure that employees are not bypassing corporate security protocols? Or that sensitive customer and/or company information is not shared, stored or at risk in case a device is lost or stolen? Staying on top of emerging technology is another challenge for both contact centers and CIOs, says Vikram Mago, director–Customer Service & Support in the Business Services Unit of Capgemini (www.capgemini.com), the global strategy and transformation consulting organization of the Capgemini Group. Capgemini Consulting’s Digital Transformation Institute is an in-house think-tank on all things digital. The Institute publishes research on the impact of digital technologies on large traditional businesses. “There is so much new technology emerging every day, it is a challenge to identify which tools and applications are the right fit for your environment—because the newer arena of digitalization is not tried and tested in the contact center,” Mago says. 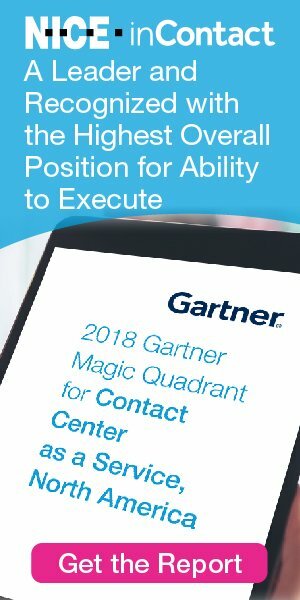 “The contact center space is very people intensive, so any technology that we bring in has to have a lot of due diligence, and that’s a headache for CIOs. Despite the challenges of providing a consumer-like computing environment for employees, organizations that hope to engage and retain their millennial workers will need to weigh the risks against the opportunities presented by the digital workplace. Aside from the obvious engagement and job satisfaction benefits, the digital workplace offers an ROI to the organization in the form of increased productivity, information sharing and business agility. So how can contact centers begin to provide a more engaging, consumer-style experience for employees? Like most long-term strategic initiatives, the digital workplace begins with a vision that encompasses the entire enterprise, along with a roadmap for implementing, measuring and improving both the employee experience and business outcomes. To move forward, center leaders will need to spend some time mapping out their business requirements to ensure that IT understands key pain points, as well as current and future needs. “They can then bring in apps that exist within the enterprise or look for what is available as an industry standard outside of what they currently have,” he adds. How can you identify the digital opportunities that exist for your team? Think about how your staff communicates and collaborates (focus on the need, not the technology). Consider tools that can facilitate knowledge-sharing, problem-solving and feedback across the enterprise. The following are just three examples of processes where digital technology can be leveraged for the benefit of employees and the business. Schools have been adopting BYOD programs, why not contact centers? Digital content, such as streaming video, podcasts, ebooks and digital libraries can be instantly updated, and trainees find multimedia content to be a highly engaging learning tool. It’s a good place to start since most companies today have transitioned to eLearning modules for moving content and making people aware of changes in policies, processes and products, says Mago. As customers increasingly opt first for self-service and text-based channels to resolve basic issues, agents are now taking on more complex problems—ones that may not exist within the center’s knowledge base. Providing agents with real-time collaboration capabilities can help to break down the walls between the contact center and the rest of the enterprise, says Arnab Mishra, vice president, BroadSoft Contact Center (www.broadsoft.com). BroadSoft’s Unified Communications and Collaboration solution provides frontline agents with quick access to subject-matter experts in other areas of the organization outside of the contact center, such as marketing, product development, etc. Instant Messaging and Presence (IM&P) allows agents to quickly check the presence status of their coworkers and decide how best to communicate. They can then reach out to the SME and use desktop and file sharing applications to work together to resolve a customer’s problem. “This type of workflow where you have collaboration outside of the contact center within the enterprise to solve a customer issue is something that has been talked about for a long time but never actually delivered,” Mishra says. In addition to one-to-one collaboration, a team collaboration tool allows agents to post questions within the application. Coworkers and SMEs who are subscribed to the page can provide information, documents or other content to help the agent to answer the customer’s questions. The application also allows agents to view schedules, check their available vacation time, and view bulletin board messages. On the supervisor side, Aspect Mila provides mobile access to key stats such as such as number of agents out of adherence, current call volumes, average handle time, service level, etc. How can businesses manage the apps and digital technology available for employees? Mago recommends creating an Apps Hub. “That is the place where you have all of the applications that reside within the infrastructure, and which follow the organization’s approval and compliance protocols,” he says. An apps hub will help to build awareness of the tools at their disposal—employees can quickly see which apps they can access, as well as any new apps that have gone through the vetting process. Companies can also post links to download apps, along with descriptions and features for each. Finally, it’s important to include a section where employees can post comments, feedback and issues so that they’re involved in driving the digital transformation.